Wake the lake with the Ronix North Dyneema Barlock Wakeboard Handle from The House. The molded plastinol bar lock provides a sturdy end cap for your fingers to be protected, and the extra tacky Lycra grip material increases friction for easy gripping. 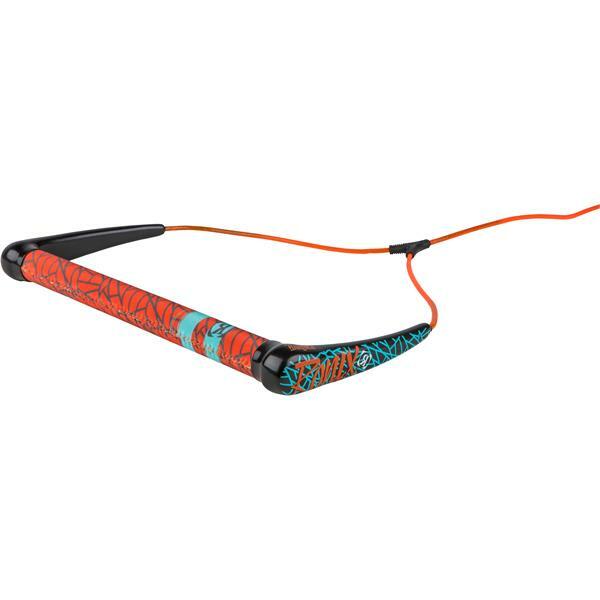 This wakeboard handle is made with a lightweight aircraft aluminum material for a comfortable bar to grip, and the Dyneema bar lock on this helps to keep the handle from rotating so you can experience a smoother ride while you're on the water. There's EVA foam inside the bar for flotation, and the 12-strand Holland Dyneema rope provides good sturdiness and durability so you can ride all season long. Made to be comfortable and sturdy, the Ronix North Dyneema Barlock Wakeboard Handle will have you riding the water for many summers.